Work with Ginger without having to travel to Boston! You don’t have to live near me to get my support. Many of my services can be done long distance, which is why I’ve been able to work with women from all over the world. Perhaps your body has shifted after having children or going through menopause and you feel like you’ve lost your style. Maybe you never really had a style, but it’s something you’ve longed for. Or, it seems like all the clothes in the stores are designed for either teens or grannies. You feel lost trying to find beautiful, youthful clothing in between. These are just a few possible reasons you’re reading this page. The good news is that I can help you with all of these challenges — without you having to travel to Boston. I offer a number of services virtually. As you will see below, the specifics of how we connect depend on the particular service you choose. Some are part of a comprehensive one-on-one virtual styling program (see below) and others can be selected separately. The following virtual services can be ordered individually. If you’re tired of defaulting to black or feel reluctant to buy colors because you aren’t sure which ones look best, a personal color analysis will change all that. 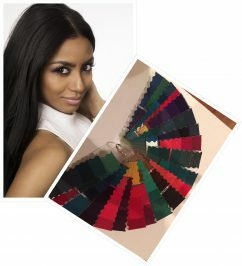 You get a hand-made palette of 70-100 colors chosen from my collection of over 2,000 colors. They are chosen to go specifically with your combination of hair color, eye color and skin color. And, it can be done beautifully long-distance. See long distance color analysis details here! Learn to apply makeup that looks and feels beautiful. My 30-minute instructional video and list of suggested products answers your questions. Lisa loved it: “Wow! The makeup video is the most comprehensive makeup video I have ever watched.” Purchase the video now (it’s now close captioned) and use the coupon code MAKEUP10 to receive $10 off. The following services come as part of one of my one-on-one virtual styling programs. Descriptions of the some of the services included in the programs are below. I’m happy to set up a time to talk to explore the possibilities and give you details about all the support you receive with a personal styling program. I have clients all over the world including the UK and Guam and this work leads to very significant and powerful transformation. 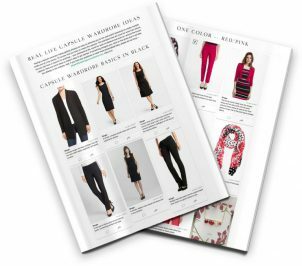 Whether you work for someone else, are an entrepreneur, a stay-at-home mom, or are retired (or one of a million other possibilities), it’s important to allow your personality (the what makes you special) to be reflected in the clothing choices you make. You’ll feel the most comfortable in and delighted by your wardrobe when your clothes express who you are. With guidance and a series of introspective exercises, I’ll help you explore who you are at your essence and from that we create 4 words or phrases that deeply resonate with you. 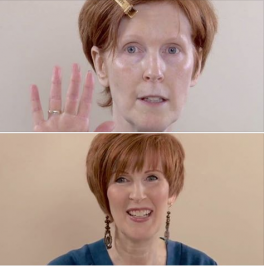 Sarah shares: “My style words have helped in ways I never could have foreseen!” To see a reference to inner beauty (style) words, see my Before and After Makeover page. Are you excited about the possibilities? If so, let’s set up a time to talk. We can explore where and why you are stuck and look at what steps will get you where you want to be. There is no pressure or obligation, this is a time to explore the possibilities so you can get out of your wardrobe rut.